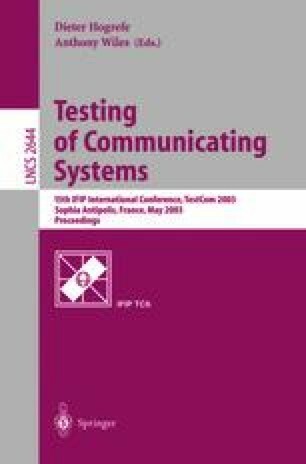 In this paper, we propose a method for the derivation of an adaptive diagnostic test suite when the system specification and implementation are given in the form of an extended finite state machine. The method enables us to decide if it is possible to identify the faulty transitions in the system when faults have been detected in a system implementation. If this is possible, the method also returns test cases for locating the faulty transitions. An example is used to demonstrate the steps of the method.